The Ring bearer will steal the show in one of our Tuxedos! And, after it is all said and done, he can keep the tux, for less than the price of a rental! They are very affordable. 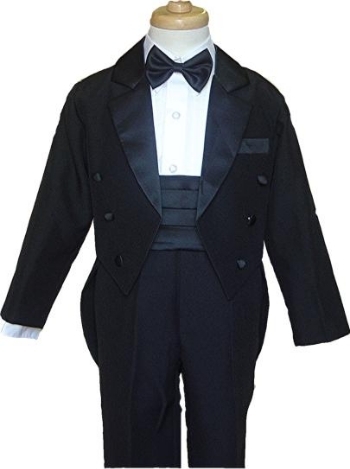 These tuxedos are available at Dianna's or can be ordered and received in two week. 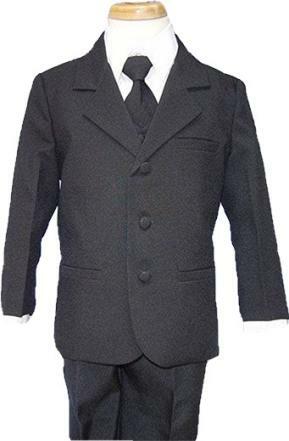 They come in sizes 6 months to 7T for the littlest Ring bearer, it includes the coat, vest, shirt, tie or bow tie, and pants, also available in 4 different styles, classic basic tux with notched lapel, basic suit, double breasted tux, and tails. The vest can be just black or your choice of 10 different colors.